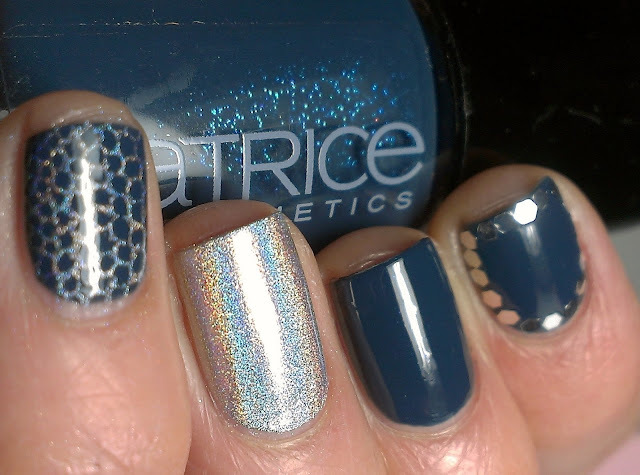 Catrice - Hip Queens wear Blue Jeans, this polish has some amazing shimmer in the bottle, but it doesn't translate to the nail very well, it is still very pretty though! Hope you guys have a wonderful week!!!! I love this!! Such a great combo! I love this color and then I saw the bottle and was all "WHERE DAT SHIMMAH?!" but this is still a gorgeous color blue. And silver and blue together? Dead. From the awesome. 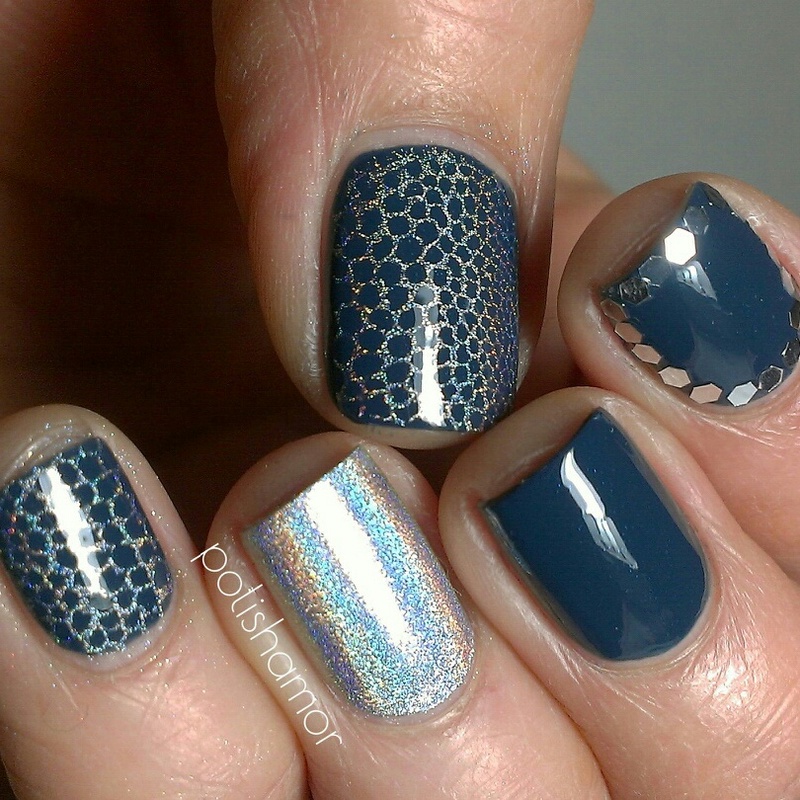 That holo stamping is STUNNING! This mani is amazing! And wow, the holo stamping!!!!! 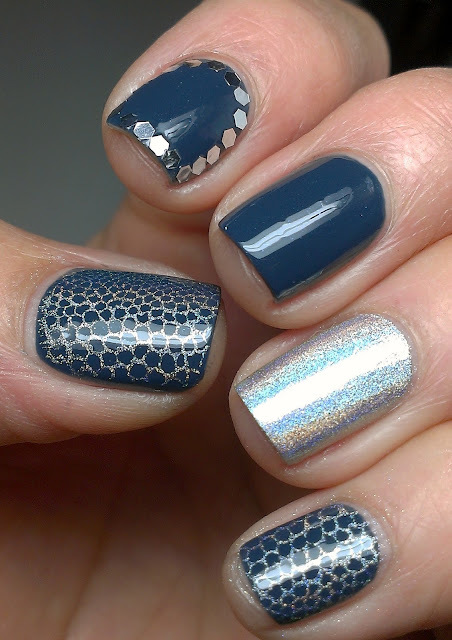 Love the way to holo totally sets the whole thing off.